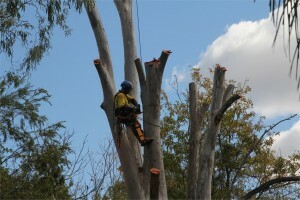 Aussie Tree Care provides quality tree and shrub care to clients in South-East Queensland. Our goal is to help customers deal with their tree concerns thereby creating a healthy, safe and attractive outdoor space. We are focused on providing friendly, efficient and professional services by our certified arborists who are fully insured. We provide sensible solutions to your tree and shrub problems that take into account your preferences and budget. We would like to help keep your precious trees beautiful and healthy for years to come. Aussie Tree Care understands that your quality of life is related to the quality of your surrounding environment. We are passionate experts in tree care. We love trees and want to help keep your trees as healthy and beautiful as possible. Revealing the natural beauty of a tree requires attention to detail, skill and experience. We work hard to balance the needs of privacy, views, aesthetics, safety and tree health. Aussie Tree Care is locally owned and operated by Luke Taylor, a Certified Climbing Arborist, Advanced Rigger, tree climbing specialist, husband, father, outdoorsman and nature lover. He cares for you, your family and your trees. He is committed to respect, integrity, customer service and professionalism. 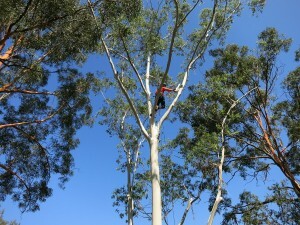 He has undertaken extensive training covering all aspects of tree care, with full accreditation as a climbing arborist. You can be rest assured by his experience, qualifications and appropriate insurances that your property is in excellent hands. 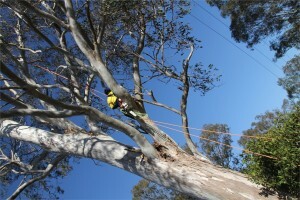 If a job is worth doing, it's worth doing well with Aussie Tree Care. Our mission is to provide you with the very best in customer service and arboricultural knowledge and expertise. We have fully qualified arborists and experienced labourers as well as all required equipment and machinery plus comprehensive insurance. We are not just tree loppers. You can be assured that Aussie Tree Care will exceed your expectations.